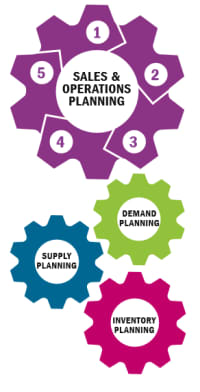 Sales & Operations planning, when done well, can bring tremendous benefits to a manufacturing organization. But to excel at this discipline requires many elements to align. This white paper was authored by Bill Leedale, a specialist in knowledge transfer for the manufacturing product suite within IFS Applications. He is an author and reviewer of the current APICS body of knowledge and a contributor to APICS’ current LEAN ENTERPRISE WORKSHOP.